I can’t even remember where I saw this saying, except it was somewhere down a rabbit hole on the internet. But it really stuck with me. And it fits along with trying to not be so hard on myself. Like not everything I try the first time is going to be a success. Or even the second time. That’s ok.
Failure is a part of the process. I know I have talked about that too before, but it is a lesson I will forever need to learn and re-learn. Because I am still pretty hard on myself. Like when I run out of time to get a project finished. Or when I work on a project, and it doesn’t turn out well. Yeah. You can see where this is going. I beat myself up for not finishing things quicker. I get scared to try other things. I worry. I worry. I worry. So I like this mantra because it tells you to get out of your head. Don’t listen to that voice of self-doubt, and do the thing you’ve been wanting to do. I’ve been all about pom poms for a while now. I know I’m not alone here. The other night, I decided to try to make my first pom pom. Admittedly, the instructions weren't great. But there was a YouTube video that showed not my exact pom pom maker, but one pretty close. As I was watching it, I was thinking this is one of the most soothing videos I’ve ever listened to/watched. Haha. After I freed it and trimmed it up (I think this is where practice helps), I had a medium-sized purple pom pom. It’s not the worst pom pom ever. Nor is it the best pom pom ever. But I had tried something new, and I had this pom pom to show for it. But then not-so tiny either. I had done more and worried less. So what tiny or not-so tiny thing have you been afraid to try? Why not just try it? Who cares if you fail? You can always try again. Or try something new. I promise you that worrying less and doing more feels a heck of a lot better than doing nothing. I love Minnesota. For its beautiful lakes. For its amazing restaurants. For its fantastic music scene. And for the way it supports artists of all kinds. There is just a wonderful sense of community here. A willingness to help one another. It’s about collaboration, not competition here. It’s the old idea that two heads are better than one. Or that working together leads to better results. I mean, it makes sense. No one is going to have the right answers all of the time. Though I do a lot of things on my own over at the shop, I certainly don’t do it all. My friend Jeni designed my logo. My friend Rachel helps with photography. 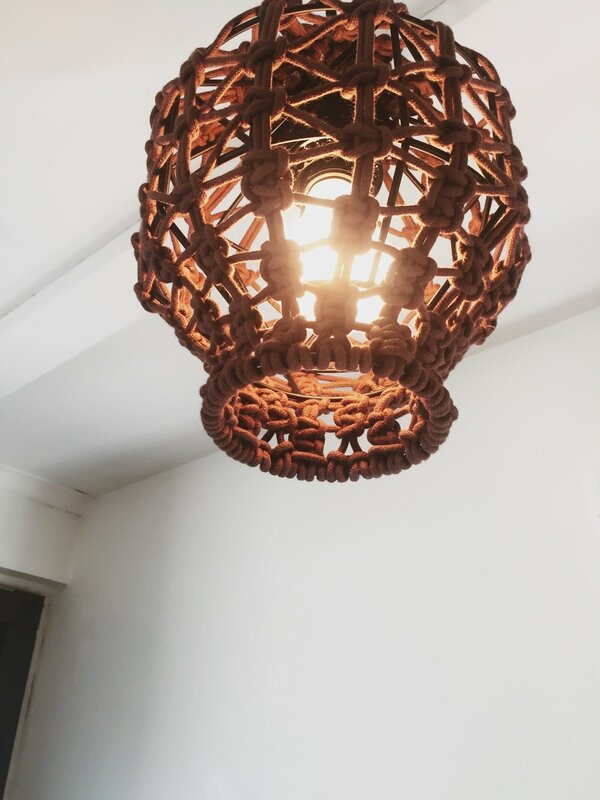 My mom is the mastermind behind the macramé, and she assists on furniture projects. I can’t do it all. Multiple heads are definitely better than one. Believe me. They catch your mistakes, they help you improve and thank goodness, they lighten your load. That is exactly what I’m talking about. A group of people getting together to strengthen the community (Minnesota) and creating a better thing (an online collective of their work) in the process. People like Intermission and Wandermore. Lindsay from Wandermore designs unique wall hangings like this head in the clouds wall hanging. I actually can’t believe is still for sale. 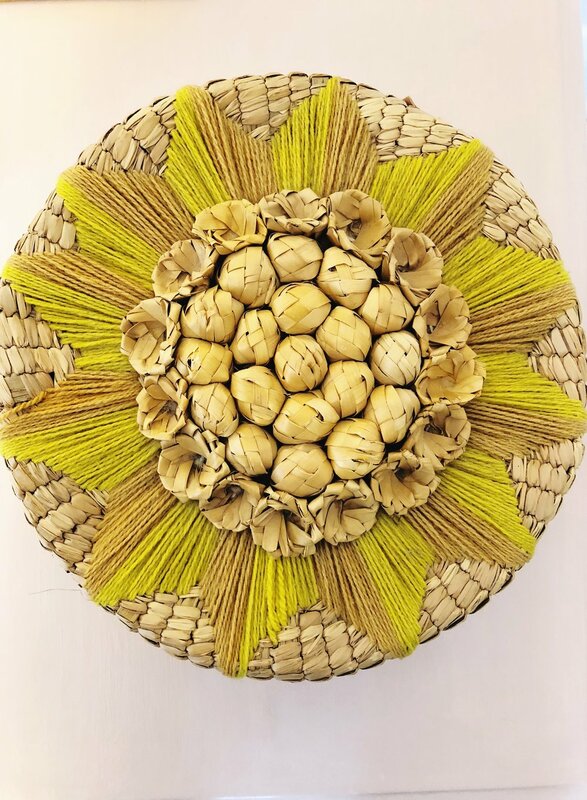 Or this super cool tribal weaving. She has a website in the works, but for now you can see her stuff on Whym or over on her Instagram page. Head in the Clouds Wall Hanging over at Whym Local. 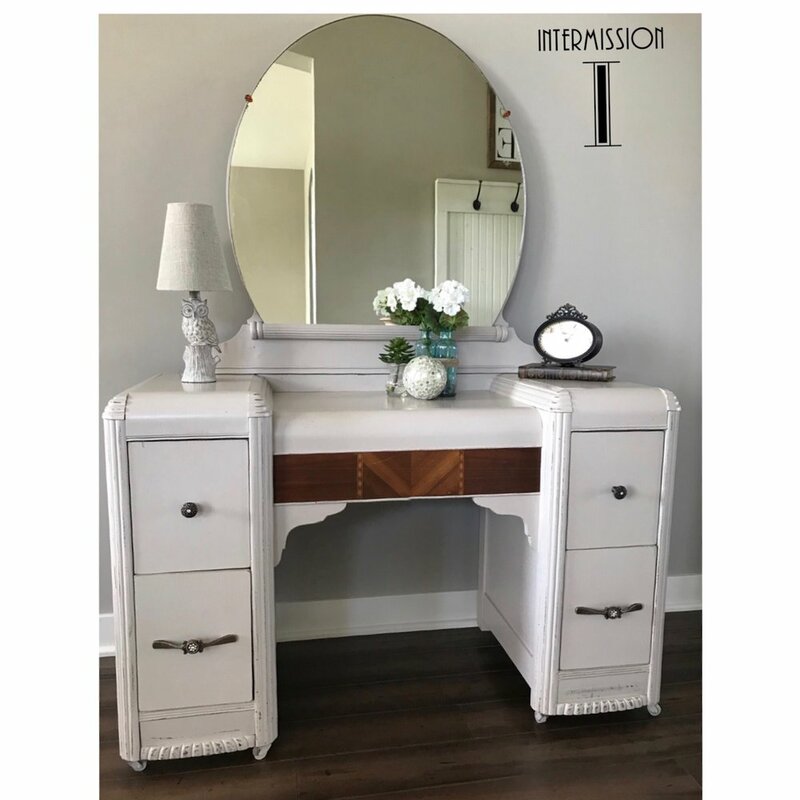 Erin from Intermission sells “refinished unique, vintage and/or antique furniture and decor.” Her shop features pieces like this gorgeous, antique Art Deco vanity. She also has a website in the works, but for now you can follow her on Instagram and shop her furniture on Whym. Art Deco Vanity from Intermission at Whym Local. And to top it off, Whym donates a portion of its proceeds to The Champ Foundation, which supports research and treatment for those with Pearson Syndrome. Pearson Syndrome is a multi-system disease that can include sideroblastic anemia and pancreatic insufficiency. It can also impair the heart, kidneys, eyes, ears and brain. So not only does Whym benefit the makers and the community, it also helps support this wonderful foundation. Now see all the wonderful things collaborating can do? 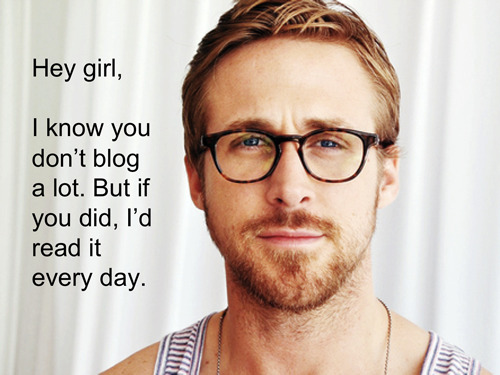 Hey Girl (And Guy), Did You Know I Write a Blog? Here's a confession: I am not the best salesperson. But I own a vintage store?! Yep. I do. Because I love refinishing furniture and finding vintage gems. I'm an introvert, and all of these things fight against all my wallflower tendencies. 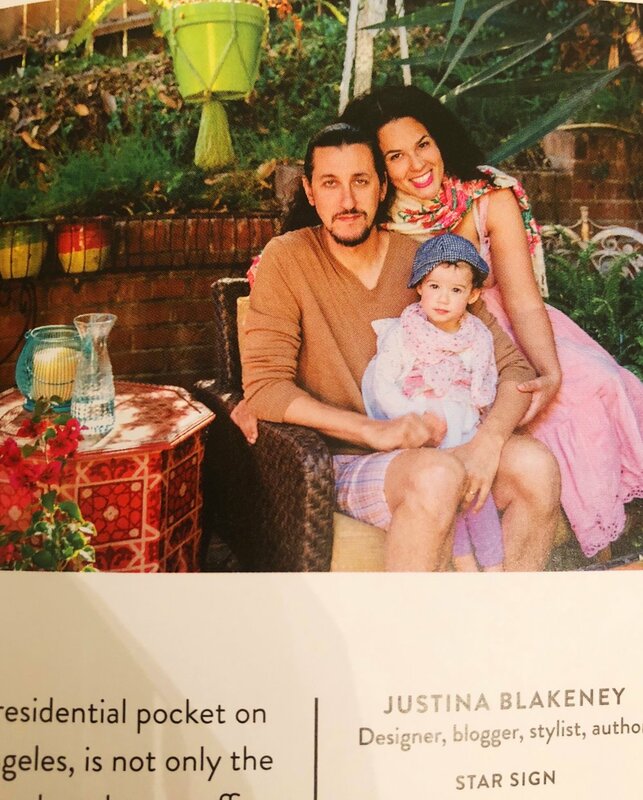 It is much easier for me to tell you how great my best friend’s band is (really it is) or talk about how I just discovered this amazing writer. This puts the person I am talking about in the spotlight, and lets me hover comfortably in the shadows. It is one reason I love writing so much. It is a solitary activity. It is just me and my laptop. And if you are writing fiction, you can disappear into your characters. Your characters can say all the beautiful, clever and brave things. Which is a truly lovely thing for an introvert, believe me. But I write things other than fiction. I write creative nonfiction (which is essentially about me), and of course, I write this blog. This blog is certainly not all about me, but as the owner of this shop, it is about me connecting with my customers and providing them useful content. Since I am the one writing the beautiful, clever things on here, it is probably time I took ownership of that. Don’t worry because there is no chance I am going to become one of THOSE salespeople. I just don't have it in me. But I am going start acknowledging that what I provide here is helpful and interesting. (There I said it!) And I am going to be a lot less shy about sharing it. Because I think you’ll like it. But if not, that’s cool too. So hello again! I’m Pam Dewey, and I own this online vintage shop based in lovely Minneapolis, MN. I also write this blog. And I am going to keep writing and sharing my content. Wallflower tendencies be damned. Taken out of context, this phrase seems a little dramatic. Ok. Very dramatic. And what does it mean? That if I keep sitting on the couch, bingeing Orange is the New Black, I’m going to die? When I was completing my degree in Strategic Communication, I took a Media Management class, and our professor taught us ten axioms to help us succeed in the business world. Number three on the list was the above, that if you sit still, you die. The idea is that to remain successful in business, you and your business must be willing to evolve with the shifting market/economy. The business landscape is always changing. So your amazing product that is selling so well now might not be doing so hot after your competitor comes out with a new, improved version. And if your company doesn’t react as the economy plummets, or your competitor puts out a better product, you know what’s going to happen? That’s right. Your sales are going drop. And you could be at risk of going out of business. Because why wouldn’t people want the better, new product? Or the cheaper product? It makes sense, right? Changing market = the need to respond to that change. I had this in mind when I launched the Vintage Modern shop in November. I can’t say the market or economy has suffered any drastic changes in the last eight months. But I have paid attention to what vintage goods are selling best, and I’ve reacted to that. When I first launched, I had a small offering of used clothing, culled entirely from my own closet. There were some great pieces in there because not to brag, but maybe even more than home design, fashion is my thing. But the clothing didn’t sell. Admittedly, I was spending a lot more time promoting the furniture than the clothing. But selling the clothing wasn’t happening. And I didn’t want to sit still. I wanted to pivot and focus on what was working. So I removed the clothing from the website. Will I revisit selling vintage clothing someday? Maybe. I’m not sure what the future will hold. But I know I made the right decision for my business at the time. I didn’t sit still. So unless we’re talking a Netflix binge, sitting still is not a good thing. It can prove incredibly detrimental to your business. But if we are talking about bingeing Orange is the New Black, then by all means, pass the popcorn ‘cuz I’m not going anywhere. Amazingly, this dresser is still for sale. But I wouldn't sit still on this for long. This beauty won't last.